Geez, how do you keep track of these comments?! Truly spectacular my friend. again a very beautiful gallery.each photo is a great one!!! A great gallery expressing perfectly the flavor of your visit. I love the whole series, excellent captures. A colorful and full of life portrait of this great historical city. V.
Very nice portrait of this beautiful city! These are some of the most compelling angles of photography I have ever seen. I am grateful to have been able to have seen this awesome level of artistic craftsmanship. beautiful gallery, excellent captions, v.
This has to be my favorite gallery on the world wide web, V! Nice selection of photos, so refreshing :) So happy that the photos are labelled and I have a clear idea of location! Just fabulous! Magical shots of this super city, like I have never seen before. What a talent you have for producing such different, interesting and very beautiful images. Fine gallery...we have to visit soon. Nice that these images tell more than a single story. You have a great eye for compositions! Superb gallery all through the last photo! Exceptional work!BV! Feels like a tour unlike any other. Feels like a tour unlike anyother. Excellent and beautiful collection with many great shots.....great job......V.
I like your gallery Wonderful !!!!! Fantastic gallery Peter, hope to go there soon. In one word ... stunning!!!!! Great collection, excellent images, GMV. A superb serie. Thank you for this travel in this magnificent town. What a gallery. Am not often looking at all pictures but here I did. A fitting tribute to one of the most beautiful cities of the world! Old world charm to the nth degree. Lovely tour of Prague. Sure makes me want to go back! Wonderful gallery, love looking at Prague (and other cities) through your eyes (and lens)! V! Excellent in every inch... Big Vote! You have a great eye for a photograph. You have captured Prague at it's best, showing how beautiful and quirky it can be. Vibrant colours, and use of light and shadow. Excellent. Great gallery Peter, excellent captures ! You have a gift that can only be envied. I want to visit this beautiful place that you have captured so stunningly. Gabriela says it all. This is a gallery that stimulates so much interest and imagination. It's easy to get lost in time viewing the images. Peter! You have touched my heart with these sublime photos....art......imagination........inspiration.....unique angles........creativity....high saturation of colors, composition.........incredible! Keep up the good work, I also ADORE your gallery and it has become my retreat, and I look at the photos over and over again. THANK YOU FOR ADDING BEAUTY TO OUR LIVES! God bless you and your talent! I ve seen that you used Nikon D40 to shoot this gallery.. did you use any filter? Grande galleria. Ottime immagini. V.
Amazing shots and great city. Wonderful shots, enjoyed my visit! Spectacular gallery. Very interesting coverage and in lovely colors. Vote. Great photos and beautiful colors. U really enjoyed our capital city! Hi Peter, your albums are stunningly awesome!! I must say your pictures are of perfect compositions and contrasts. Thank you for sharing. A truly stunning gallery. I love the strong colours and excellent composition. I also like the mixture a people, detail and scenes. VOTED. Had to come back. This is growing into one of my favorite galleries making me want to go to Prague! Great shots, makes me feel like I am there. V! An incredible gallery! Love your POV. These are the types of photos that make me want to travel and explore a new area! You have touched the pulse of the city and made it so welcoming... BIG VOTE! Wow!! Prague should write you out a check!! Voted. Thanks for the excellent tour of Prague. I recognise many of the views. Most enjoyable! Voted. Brilliant work Peter! So much variety, lovely colours and compositions. Excellent. WOW!!! What an amazing gallery! You've got some beautiful photos here! Great gallery! Amazingly rich colours! Thank you! this gallery is simply fantastic! a great work Peter. Amazing shots in rich colors and charming lights, big V! Very nice collection. Not the usual post-card take on a city. V.
Fantastic photos in this gallery Peter!!!! So colorful!! Oooh, my god, that's soo beautiful, mmmm.. I live in Prague and this photos, uuuhm.. This is the soul of my hometown! Thank You. Very nice and colorful gallery!! Awesome images... exquisite color and unique angles. Very creative- it was a pleasure to look through your images! enjoying your new images Peter....great work. v.
The entire gallery is splendid, I really enjoyed it!! Love Prag. Hope one day i will visit that city again. Spectacular colors. Wonderful shots of the city, makes me want to visit Prague. You captured the charm of the city and kindled the imagination of the viewer. Wow! They say that art form is just about anything that can move your emotions. I just don't even know what to say and am a loss for words. It's not just the beautiful city of Prague, it is your eye for a great shot. Please, keep them coming. Thank you for sharing these! On your profile page you say, "Any constructive feedback is welcomed". Here goes: Don't stop shooting! Awesome work. V.
Some gr8 images here Peter ! v ! A gallery filled with great compositions and colors! TFS Peter. V! fantastic colors and composition! your photos make me want to go to prague soon. Desde Argentina!! !Mis más sinceras felicitaciones. Bellísimas sus imágenes!!! Mis saludos y agradecimiento por tan hermoso placer. A lovely gallery - wish I had been with you. What an outstanding gallery you have here ! It's absolutely fantastic ! I think this gallery is wonderful. I like your ideas of bringing Prague through those angles and your vision. Prague is very beautiful city and deserves to be shown as it is, no other post processing needed. Maybe the saturation is a little higher, but it is ok. All in all, a very well deserved Vote for your wonderful gallery. I agree with the preceding "Guest": potentially the BEST collection of Prague photos I've ever seen ... if it weren't for the gaudy look due to unfortunate over-post processing. Too bad. But you have a beautiful eye for photos - gorgeous looks at Prague - and I thank you for sharing them. I would love to see the original files. I think you have an eye.But unfortunately no one showed you the importance of how to post proces your images.the only thing you know how to do is to slide the contast and saturation bar.Too bad you could be so much more.The over saturated colors gives your images imature joe-blow look.Stay with black and whites.that is where you shine the most.Praque was ment to be that way anyway. Now I have to be heartbreaked to choose pictures from Prague and eliminate others (I will inform you when it will be loaded). This is the most magnificent collection of photos ... brilliant colors! stunning scenery, breathtaking views, and such original & beautiful perspectives! I absolutely loved each one! wow, this gallery is wonderful! big vote!! this is truly one of my favorite galleries in pbase!! V! 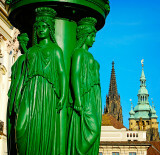 The fines images of Prague..BBV! Having been to Prague in 2006, your gorgeous pictures brought back wonderful memories. Bravo! Stunning gallery, good use of colour! Fabulous collection Peter! So many beautiful shots. Now I want to visit Prague more than ever! This gallery is fantastic! Congratulations! Great gallery! I love the unique character of Prague and you have captured it well. Superb images of a place I want to see NOW. Each photo in this gallery is amazing! Voted! always nice to return here, great series. Peter - you have such a great eye for lighting and colour. I admire your creativity in composition. I greatly enjoy your photos and I always learn something new about photography when I look at them. Best regards, SW. V.
each time you add an image to this gallery, i take a new look, i discover new things..
such impressive work you made here.. deep feelings f the city at each image.. I had pleasure to visit Prague through your eyes, you have a magnificent collection. What a fantastic gallery! Many images envoke a special feeling of "misty morning" walks in me... The colours are amazing! Thanks for this beautifull walk through Prague! more colors than a rainbow. V! One of the best galerie I have seen on PBase in 4 years. Congratulations Peter. Voted ! an unbelieveable gallery... each image is perfect.. amazing work! Peter.....been a long, long, long time since I've sat through a slide show of a pbase gallery; I have never sat with my mouth gaped open at such stunning compositions. A bit of criticism......maybe a bit too much saturation on a few images, but it gives an overall style of its own. Voted..........and thanks for sharing this mature, creative well thought out, and brilliantly executed gallery. An outstanding gallery - beautiful compositions. excellent gallery of a gorgeous city... beautiful colors; imaginative perspectives, composition, and subjects. vote!! One of the best Prague galleries I have ever seen! Wonderful. Prague in a way I never saw it before. Love the vibrant colours. V.
one of the most beautiful galleries in pbase.voted!undisputed. it's a good look of prag and you have been lucky with the weather!!! Gorgeous and colorful and diverse gallery . Fantastic images. Everything has already been said by so many others. Simply outstanding! le gallery magnifique. love them all peter. you are a great painter with your camera. Simply amazing. Your vision creates miles and miles of depth in my two dimensional computer screen. Congratulations. Wonderful gallery of a very beautiful city ! We ancient and/or disabled need no longer miss out on the joys of travel. In my middle years I did some 'sampler' trips and spent a few days at most in importnt cities. Instead of my nap, I spent almost three hours enjoying your hundred-plus professional photos of Prague. I feel refreshed. Your exploration in depth erases any reputation that 'behind the iron curtain' cities had of being dull. Except for a shot of ubiquitous grafitti, the city is tourist clean as well as dramatically beautiful. Thanks for the salubrious 'trip'! Wonderful Photos! Prague looks like a postcard under your hands. Voted! highly artistic work, each capture like a little treasure!!! Bravo Peter. I must say Peter, this is still one of my favorite galleries! Cheers. ABFAB Great Gallery! huge V! Beautiful city and a wonderful gallery! Can I vote again. ???? Totally enjoyed slideshow of this wonderful gallery of fabulous images!! Going back to look at them individually. i want to vote again!!!! Beautiful colors, creative angles, interesting subjects, just perfect! Thanks! v a feast for the eyes here! knockout work! There are lots of great artistic shots at this gallery. The amount of energy that can be felt by looking at this gallery is simply amazing. Each photo is telling its own story and they all connect to a wonderful whole. I love the way you see, fell the right moment for pressing the shutter, how you compose and treat the photos. Browsing through this gallery was a magical experience and has reminded me once again why I want to visit Prague. Since that day is not close yet, I am thankful to you for this most amazing tour. Excellent gallery! Made me want to visit Prague. V! I've never visited, but this gallery makes me feel like I'm right there. Unbelievably beautiful representation. Thanks for sharing! Fantastic colours, lightening and compositions! Bookmarked and voted! A wonderful gallery... I like every picture ! Big vote . This work is magnificent, imaginative and inspirational. I do love the way you shoot!!! I am in the early stages of planning my next father-son European trip for next spring and Prague is on our list of cities to be visited. When I entered "Prague" in the search menu and saw this gallery, I was astounded of the beauty of the city captured through your vision. This is an awesome gallery and full of amazing images. I will be refering back to this gallery many, many times before we travel to Europe next year just to gain more insight on ideas and inspiration on how photographs of this beautiful city should be taken. Big vote! Stunning gallery of Prague, the best I've seen. You really captured the essence, the mood and the colors of the city. Big vote, huge!!! I keep coming back to this marvelous gallery...well done Peter. A city I have always wanted to visit, your photos show it off very well. What a fantastic work Peter! Good photographs with diverse subjects very well executed. Congratulations! 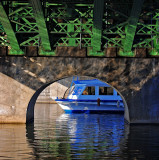 V.
Peter: Thanks so much for sharing your images and diverse galleries.....everything is so full of life !!! Great Presentation of a Beautiful Prague. Wonderful Colors! You can almost sense life exploding with the colors... V! You have a great eye for composition. What a excellent gallery !! Well done & congrats ! A wonderful set of images. What a vibrant gallery! Voted. this Gallery is fantastic!!! she's a wonderful narrative of modern Prague!!! An outstanding gallery, excellent work! Extremely interesting work, Peter. Well done. Awesome gallery, so much to learn from your! Very pretty pics taken in a very pretty city! brilliant work of art. pure joy to watch your compositions . interesting gallery, colours, composition, V.
One of my favorite cities, and you have done a superb job showing it; great photos. Peter, this gallery is amazing. You are one of the best in Pbase. An outstanding gallery; beautiful colourful, finely composed..V!! A number of years ago we traveled on a train in Italy and met a young man from Argentina. He said that he was most captivated by Prague in his travels and your photos exemplify what a beautiful city it is. Thanks for visiting my France gallery and for your nice comments! V.
There are so many interesting shots in this gallery Peter - you have a superb eye for a composition! The architecture and colour really comes through in this extraordinary tour!! Big vote! With this gallery you have only succeeded in making me want to visit Prague even more than I already did. Excellent work. V.
A photographic walk around Prague. Many interesting places and fnds you have within this gallery Peter. Superb work and each picture tells a story of its own. Outstanding work.BV!!! It's obvious from these excellent shots that you have a very artistic eye. Excellent work...really enjoyed in this city with you...well done ..Voted..VV..
colourful images.. a so good tour across this beautiful city..
images that show well the architecture but also the atmosphere.. the people..
superb. great colours lights and compositions. your galleries are a great place to visit. Excellent gallery full of wonderful photography ! Thank you for reminding me of my last trip to this great city. What a great series of pictures of this great city ! The most beautiful photos of Prague that I saw until now : poetry and winks, superb vivid colors and very beautiful black and white... Bravo Peter and Big Vote! great city-- beautiful pics!! Nice work! Amazing gallery of a wonderful city. Like the colors in your great compositions. V.
Simply amazing! Cheers & Voted! Mate there are so many just sensational images amongst your collection. I could comment on them all really. Love your saturations and colour matches. Really great work and above all great to look at. Thanks, Voted. This gallery has almost everything....ang aeverything nice! Wow, such a cool gallery with a nice mix of scenes from a beautiful city. Your titles are spot on as well, and taking the whole slideshow tour was great. Thanks for sharing! Great work Peter, keep it up! :) Big vote! Great gallery ! Excellent job. Big vote. Very nice gallery. You get a good feel for the city. Beautiful gallery with vivid colours V! Excellent pictures - very colorful, sharp and well framed ! Enjoyed this Gallery Peter, I spent just one day there, and I hope to return. been to Prague many times. you've actually done it justice. GMV. Stunning gallery! Great work, vote! Very representative gallery. GReat colors and great travel spirit. Many faces of the old town. Vote. Such a varied and high quality gallery! I like your keen eye. The high saturation pleases the eye although in some cases it is a bit overdone to my taste. But in all this is simple one of the very best ´general´Prague galleries on the web. v.
Colorful and very impressive gallery! An excellent gallery that embraces the heart and soul of Prague. Well done. Voted! Most of the pictures are wonderful excelent work good comosition and color. The BW lack a little contrast apart from that well done!! amazing set of images! V for sure. Great Gallery of this beautiful city!! !, excellent compositions and colors. V.
Superb gallery of Prague.. V.. I want to go there after looking at these pictures, thanks! Excellent gallery, beautiful composition and colors. very good images of one of the most beautiful towns in europe, bravo! thanks for the journey and insight. Wow! Each image tells a provocative story. Excellent gallery. I've always wanted to visit Prague..now I have. Thanks for the tour. A true travel "not Postcard"
Lots of details in this interesting and colorful gallery. Well done. I love Praga..so thanks to You for this wonderful Gallery of lights, of beloved places when i was in 1994! I lost my heart in Parga! Fantastic gallery, Peter and great presentation of this wonderful city. V.
I've seen plenty of Prague photos and no one has ever presented the city so beautifully as you have. Brilliant! Beautiful photography here...terrific colors and compositions! A very personal view of the city. I wish I will have time to go there once. Great gallery. So many interesting shots and they are all so vivid and lively. Great gallery with some fabulous images. Just need to book my trip to Prague! Vote. I`d never been to Prague...your beautiful views are highly inspiring to visit the city Peter! Thanks for sharing! I really like your gallery Peter, Nice composition and rich colours. I like the perpective in your shot. Well done! Enjoyed your Prague gallery, particularly dusk shots. Interesting journey. Vote. This is a stunning gallery. Prague has been on my list of places to visit for a very long time! Electric color. Outstanding series of photos. Bravo! Your Prague gallery is really enjoyable. I come back here often, because I prefer to look at a few photos at a time, they all deserve attention, not just a quick glance. Beautiful gallerie, colorful ! Great set of Prague ! V.
excellent and beautiful gallery of this wonderful city. Very well done Peter !!! What an impressive gallery this is!! Great work! Great tribute to Prague! Beautiful way to discover this city! Thank you for sharing. V! Truly wonderful and amazing portfolio. A great gallery with so much to be seen in it: interesting subjects, colors, lots of details to discover... i really enjoyed going through these images. Congratulations (and big vote)! Nice unconventional set in Prague Peter! V.
Very good gallery.Praha is fantastic. Nice gallery and some very interesting shots. I like the perspective and you have a great eye for seeing these shots. Great gallery. Lots of variety. I like every image. "V"